What makes the difference between a good and great Aged Care Facility? … something feels ‘off’. Perhaps it’s the lack of ambience? Or the spatial flow? Or the colour scheme? It’s because of the interior design. The difference between a good Aged Care facility and a great one, is the way the space makes you feel. And this feeling is dependent on the interior design. In recent years there has been a shift away from the institutional model of care to a more home environment setting. And interior design plays a key role in promoting this modern model of care. The problem is: When designing or renovating Aged Care facilities — interior design is often an afterthought. This is mainly because of three crucial mistakes commonly made by decision-makers in the Aged Care sector. You don’t understand the difference between interior designers, decorators and stylists. 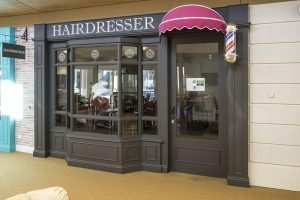 It’s important to understand the difference: decorators and stylists specialise in the visual aesthetics, whole interior designers possess technical knowledge and specialise in spatial planning. Interior designers work closely with architects and builders and are involved in the project from start to finish, achieving total project integrity. You rely on project managers or architects to manage the interior design. 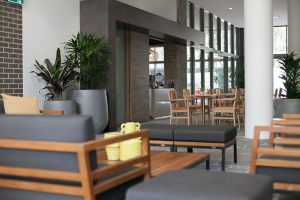 Interior designers specialising in the Aged Care sector are able to problem-solve and anticipate future care needs, creating spaces that are not only aesthetically pleasing, but also functional and supportive of all staff and residents’ needs. You work with a generalist interior design firm. 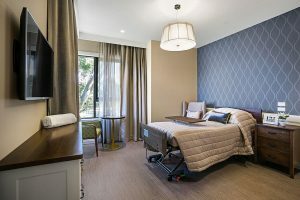 Interior designers specialising in Aged Care possess specific knowledge and skills to create spaces that promote well-being; utilising evidence-based design solutions to solve, and prevent, many issues typical to the Aged Care industry. So, how can you avoid these mistakes? Engaging an interior design firm that specialises in Aged Care Interior Design. Just like us. With 25 years experience, we know the Aged Care sector inside out. We have the knowledge, networks and ability to anticipate your needs (sometimes even before you are aware of them). Every single member of our team is a qualified Interior Designer with years of experience in the Aged Care Industry. We believe in creating Aged Care interiors that are empowering, intuitive, and stimulating. Put simply, we want to create a sense of home for the residents and a warm, inviting space for staff and visitors. 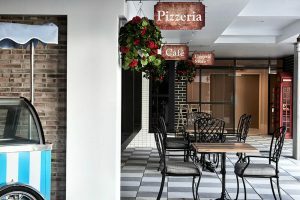 Whether you’re building a new facility or looking to revitalise an existing space – you can feel confident that we will deliver a practical and creative solution that will meet your particular requirements. When it comes to Aged Care interiors there are thousands of decisions to make. Our process makes it easy for you. We will guide you in the decision-making process, so you can shift your focus to other critical tasks. Aged Care interiors don’t have to be boring. We carefully apply space planning, furniture, fittings, technology and artwork to create interesting, modern and vibrant spaces. When you work with us, you have direct access to our design team. Being a boutique studio means that we are flexible and have a speedy turnaround. We will bring your vision to life using various tools including; mood boards, material finish examples and space planning diagrams. We work with architects & builders. Our team are qualified to create technical documentation/drawings – aligned with your vision. Want to see our work first hand? We regularly organise tours of our completed projects. Our tours allow you to step inside and experience the spaces designed and created by us. Click to reserve your spot for our next tour.